Belt has swung a hot bat in Arizona this spring. The former All-Star currently has a .386 average with two doubles, four home runs and eight runs driven in. Belt performed in the 2005 Cape Cod HS All-Star Game. 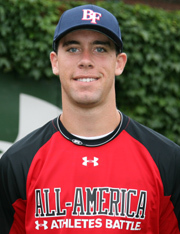 The 2009 Under Armour All-American made his Major League debut for the Mariners during their season-opener in Japan. On March 21st Brandon pitched a scoreless 8th inning in the Mariners 5-4 victory in 12 innings over the Athletics. 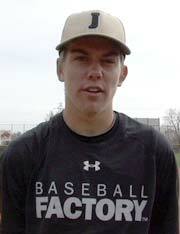 Brennan also performed at our Team One West Showcase and a National Tryout in 2009. Drury, a former Under Armour Pre-Season All-American in 2009, has contributed well to the Blue Jays’ offense this spring. He has five doubles and three home runs while hitting at a .308 clip. Drury was selected for a second time to the Pre-Season All-America Tournament in 2010. A former MVP of the 2010 Under Armour All-America Game, Nimmo continues to establish himself as a young, veteran leader on the Mets team. This spring, he hit .291 with a double, three triples and two homers as he’ll be an important piece for a Mets team looking to make noise in an interesting NL East. Coming off a season where he became an important part of their postseason run, Brandon continues to pitch effectively for the Brewers. He was 1-0 with 1.84 ERA this spring. Woodruff participated in the 2010 Under Armour All-America Game.